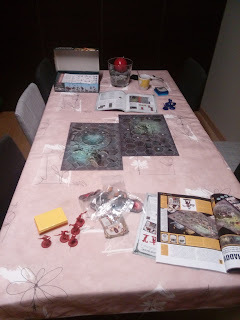 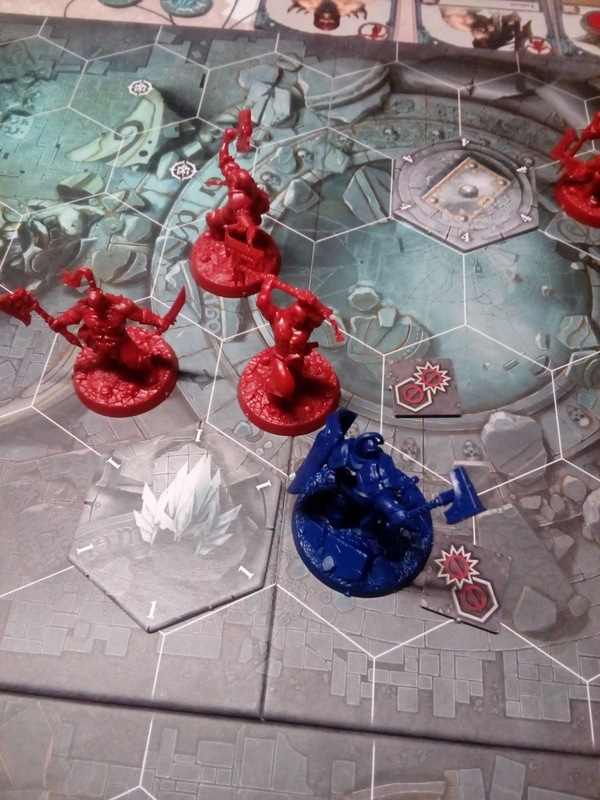 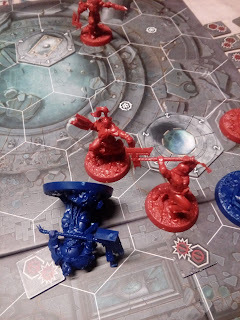 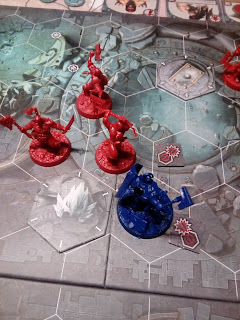 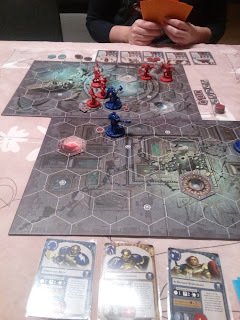 So Noshi and me sat down after a few months to give Warhammer: Underworlds a go again. Now that we studied the rules decently (in our first try we did the power step wrong), this might turn out to be a whole other game. 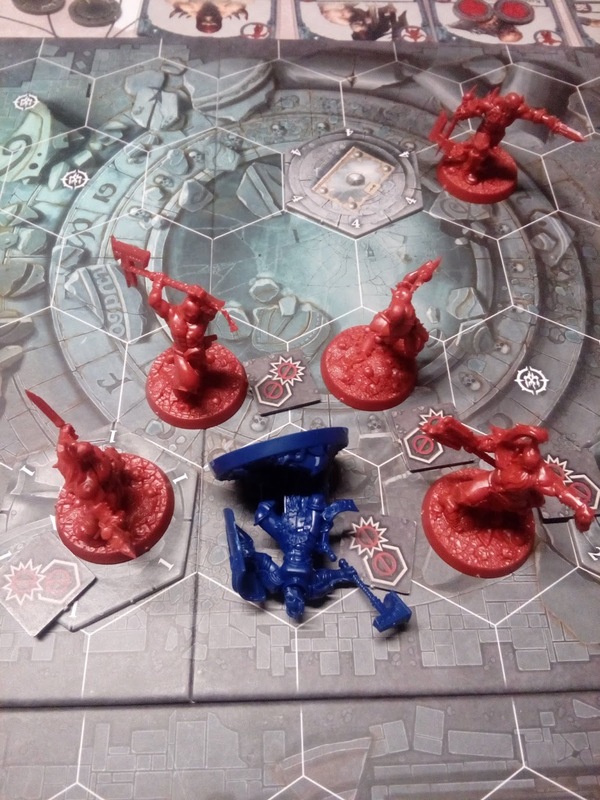 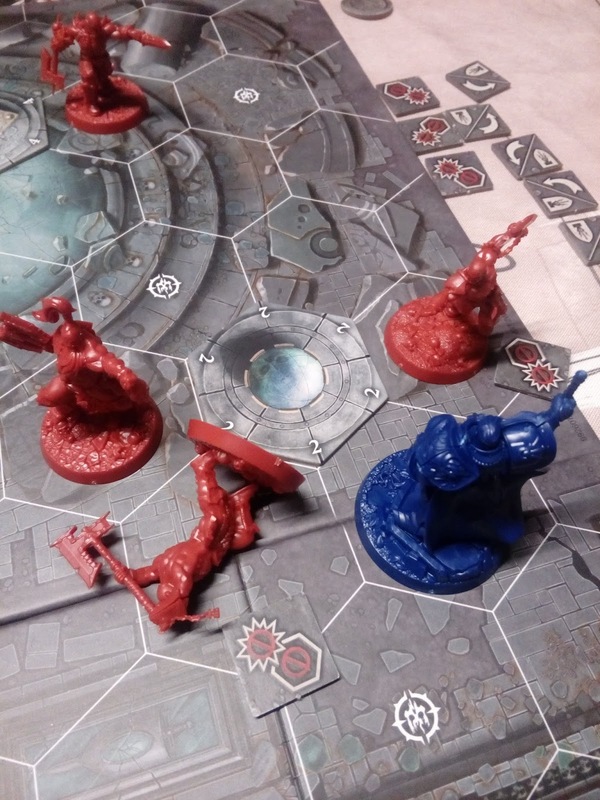 I took command of Steelheart and his Sigmarites, while the crazed Khorne follozers of Garrek went to Noshi. 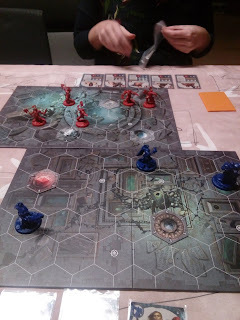 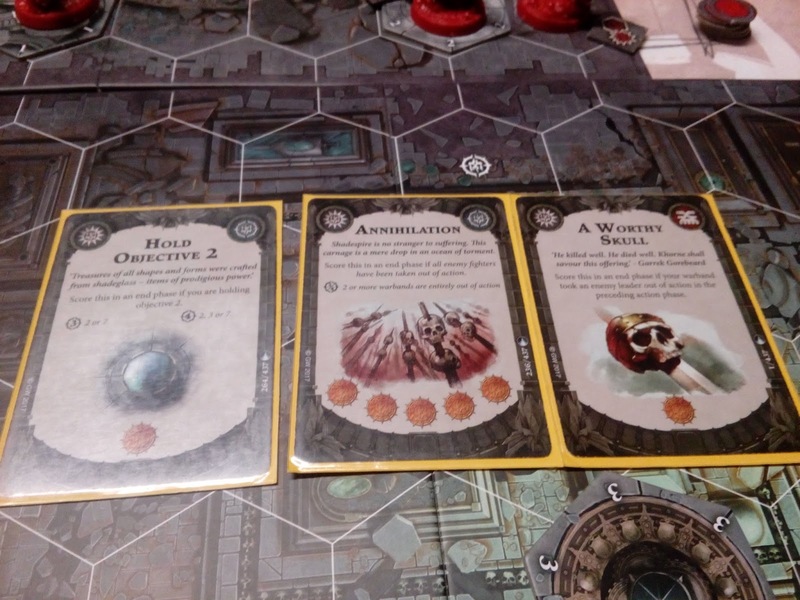 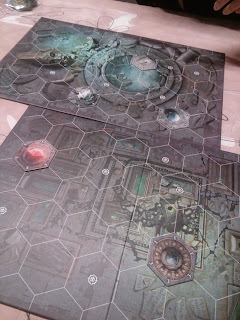 The board was set up, the cards drawn and the models placed, and I took the first activation of the game. 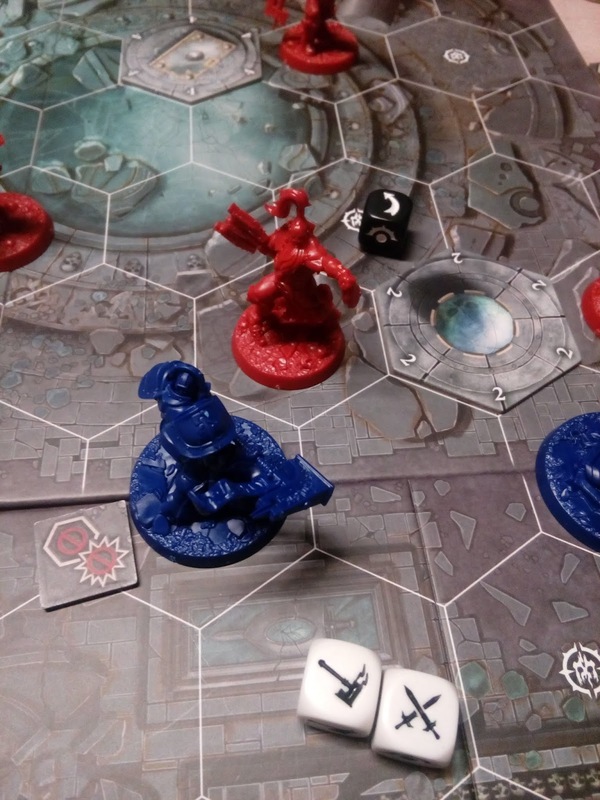 My warrior charged immediatly up the board, and failed miserably to knock down the opponent, though he did some wounds and pushed him back. Noshi ratiliated but Brightshield made the block and became Inspired... only to be totally ganged up at the start of turn two and knocked out of the game. My heavy hammer warrior charged the leader, because I had the objectives to slay his warlord and to take one out on the charge. 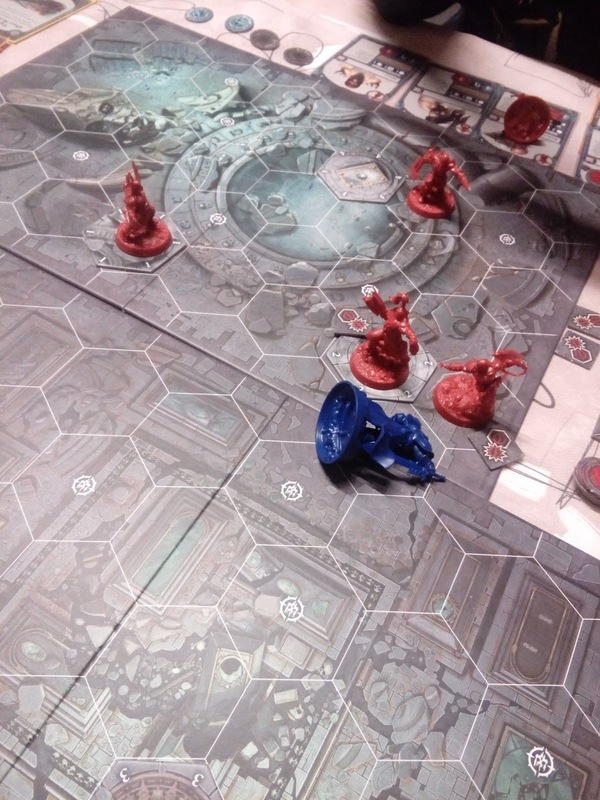 Garrek critically blocked, and after reacting by attacking again... he dodged. 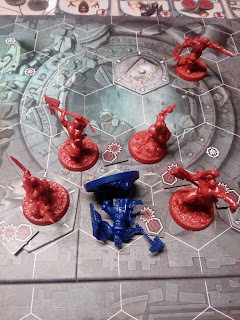 Steelheart entered the fray himself and dispatched the wounded reaver in a swift blow. 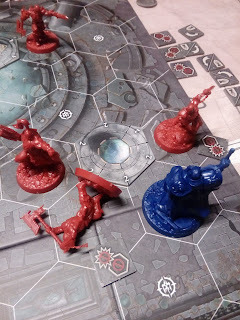 So turn two was two activations gone, and so was my warband. 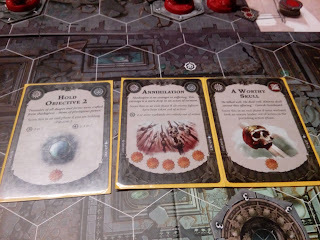 I should have been more on the defensive, set up on my edge and let her come to pick off on stragglers, but hey... lessons learned.